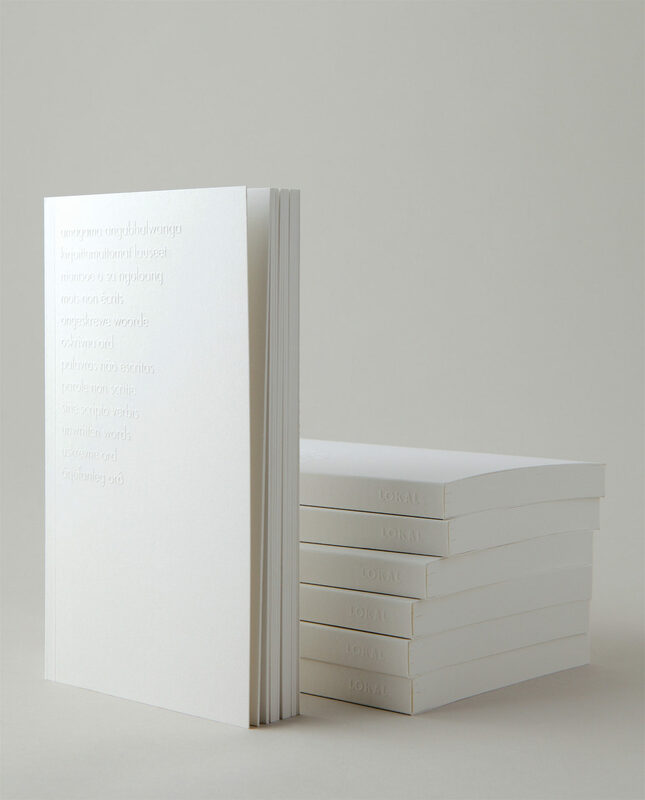 Our notebook is inspired by Hanni Koroma’s art piece Kirjoittamattomat Lauseet (Unwritten Words). 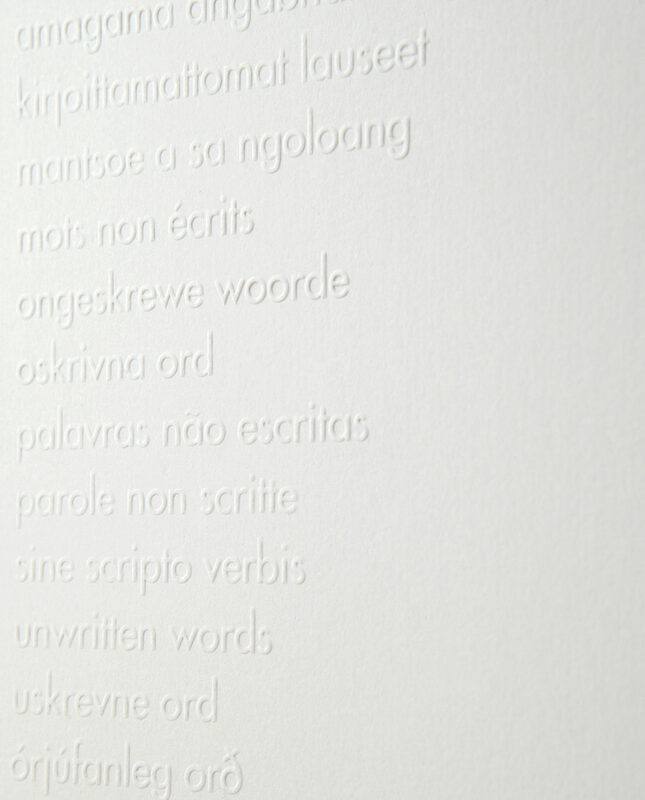 The cover is embossed with “unwritten words” in 12 languages. 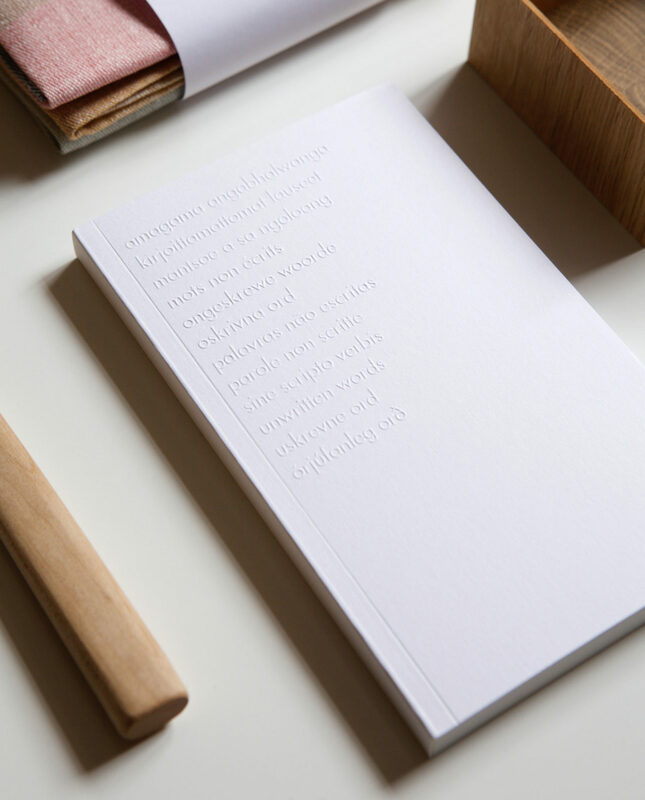 A paperback-sized notebook with blank pages.